I ended up getting straight into bed after my bath and going to sleep. Mum dried my hair first, I used my earplugs to help eliminate some of the noise, and that was the end of the day for me. Hours before my usual bed time. Once these shakes come on, there's not much you can do properly. Each time it happens I get a tiny glimpse into what life must be like for my friend with Parkinson's. It is not something I'd wish on anybody. You might be wondering why I had my phone with me, I was playing some relaxing ambience music while I relaxed in the tub. I hadn't really done anything strenuous all day. I had remained on the sofa, watched some TV, chatted with my family, did some social media sharing and ate my usual 2 meals. Nothing that would usually trigger the shakes. When these shakes came on last night, I was just lying in the tub full of magnesium flakes to relax my muscles... Ironic really as the shaking is a common sign of muscle fatigue. It's the kind of thing that happens when an athlete has completed a strenuous workout, run a marathon, over exerted their muscles, or there's a build up of lactic acid in the body. You might also get similar shakes if you're hypoglycemic and do a workout which depletes your glycogen stores. In ME/CFS we get this same effect from doing the slightest exertion, like getting undressed for my bath. I also get it from cutting vegetables or standing upright for more than a couple of minutes, this is the reason I can no longer safely cook my own meals. It comes down to muscle fatigue, the lack of energy at a cellular level. Each cell requires energy to do its job and our mitochondria are not able to produce enough energy for our need. So we get the symptoms of overexertion after very little exertion. We're in energy debt basically. We have to learn to budget else we will constantly be in debt and that's when everything gets shaky. It's usually accompanied by muscle weakness, so along with the shakes, I'll also have a weak grip and difficulty moving any part of my body. I've dropped knives in the kitchen, and broken a plate, I've burned my arm on the side of a frying pan because I couldn't keep my arm high enough. I've been unable to pull up my trousers or turn over in bed, dropped my phone on my face and numerous other places because my grip became too weak. Autocorrect no longer understands what I'm trying to type as my hands become too shaky and I have to just drop everything and lie down for total rest. I usually drink a glass of my adrenal cocktail or salt and water to help my electrolyte levels and sometimes this does bring some relief, but nothing works quite as well for the shakes as rest. The initial trembling is mainly internal, you feel like your whole body is shaking, but nothing is visibly shaking. It seems to be a completely neurological symptom, like all your nerves are misfiring. When you reach this point it is important to stop what you're doing and rest. Completely. You've already overdone it when the tremors start. Have you found anything that helps it pass? I’m sorry you too have to deal with the shakes. I get them as well, seemingly from exhaustion. Oddly, one time I was at the doctor and they were doing an EKG and I couldn’t stop so they gave me heated packs, like warmers, and it really helped. The nurse said it meant my CNS was overstimulated. I have no idea if it’s true. It irritates me to no end when doctors say things like, “don’t be scared”…I’m yeah I’m shaking because I’ve been waiting forever and I’m exhausted now. And BTW shouldn’t doctors know this is a symptom instead of treating us like frail hypochondriacs? A girl can dream?? What the nurse said is right. That’s interesting. I don’t know for sure what the cause is, but heat really helps calm my shakes too. As well as staying still. I like to curl up in a ball and hug my hot water bunny when the shakes come on. I havent had anything like this since I started Yoga Nidra (type of meditation done lying down), thankfully, and not quite to this extreme but I know exactly what you mean about that internal shaking. I hope you feel a bit better soon. Thank you, Sarah! Fortunately it is not happening very frequently anymore as I try to stay within my baseline. Getting better at pacing myself I think! Hope you are doing well. Yes! I have also found heat helps. I live under blankets now! Keeping my body warm really does help relieve the aching and shaking. What they should know and what they make an effort to learn are two very different things in some cases unfortunately. I look forward to the day that ME/CFS is taught as a real biological condition in med school… That’s a future to look forward to: Doctors who know!! ? Oh, I neve k new people with ME/CFS could get tremors. It sounds quite hard to deal with. I get mild tremors in my hand or leg occasionally, but they don’t happen often enough for me to seek medical attention for. Yes! It’s quite common. It’s usually a sign you’ve overdone things. But we don’t all get the same set of symptoms. Mine have changed over the years. Come and go. I have been in doctors surgeries and in the hospital when they came on and there’s nothing they can do for you that you cant do at home… rest. hydrate. eat something. Going out when you have the shakes is the last thing you need to do as it just adds to the exertion causing the shakes. Thank you for linking up! Glad you enjoyed the post. I look forward to reading the other posts you’ve linked. Sorr to hear you’ve developed this symptom too. It can be quite scary at first. Makes you feel useless. You are definitely not alone. There are many of us who get this. Usually a sign you’ve overdone things. Mine has lessened considerably as I found my baseline and spend way more time resting now. I think your kitty would probably love the dancing feathery fringe! Thank you. I appreciate this article, though I am sorry you get that shakiness. I get it too and had it for 5 months now. Mine started with a flu like virus but don’t know what. Possibly H1N1 in March. You describe it perfectly and that is what I experience almost every day. But if I try to describe it to anyone, the first word that pops into their mind is “anxiety”. I know it is not anxiety for me anyway and has a physical root. Unfortunately people seem to equate shakiness/inner sense of trembling etc with anxiety and it’s hard to get them to understand. It feels exactly as if my body has been held in a “stress position” too long. People know when they do that their bodies start to tremble after a few minutes. I wish I knew a cure. It’s unpleasant. Sorry to hear you’re also shaking, Sylvia. It really is unpleasant. Makes you clumsy and weak, can’t really do much while you’re shaking like that. I like your description of being held in a stress position. It is like that! Thank you for sharing your experience. I hope you find a way to calm the shakes. Hi Garyt, sorry to hear your neurologist isn’t very helpful. I imagine you’ve been tested for MS? 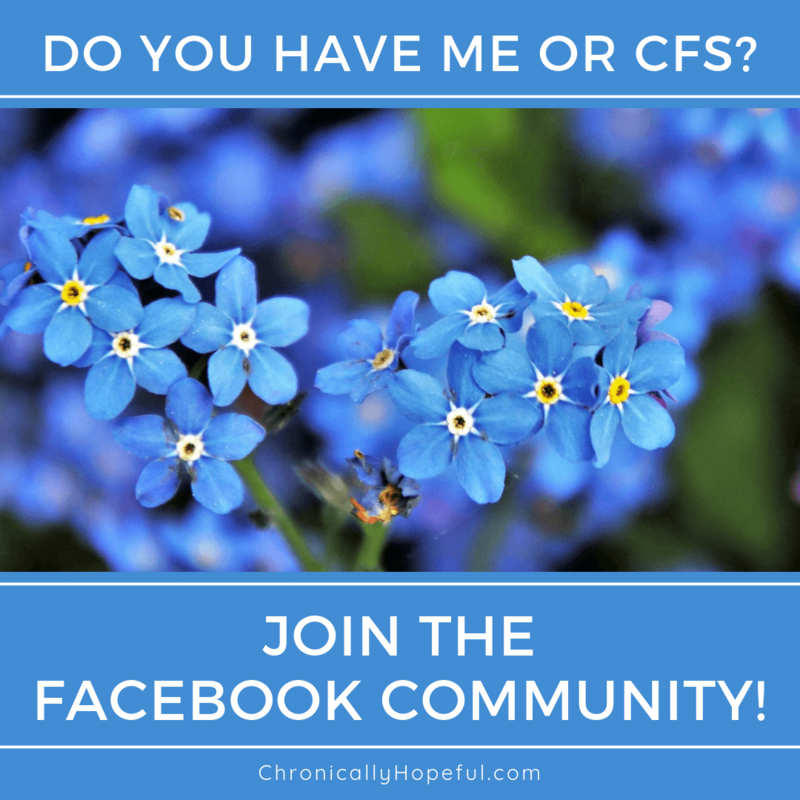 Do you have an ME or CFS diagnosis? Those symptoms all sound familiar, but it is always best to make sure it isn’t something else causing them. Have you had your blood sugar tested, especially during one of these episodes? A simple remedy to try would be simple carbohydrates, such as raisins or other fruit, or more complex carbohydrates, such as whole grain crackers. Concentrated protein may also help, such as peanut butter. And of course you can combine these, such as peanut butter on crackers. I have found all of these dietary approaches to be helpful at various times, and I continue to use them all. For me, complex carbohydrates tend to help the most. The effect is pretty immediate. Thanks Zzz, it’s not low blood sugar, I’ve been at doctors and hospitals when it happens, they’re tried all the basics, just have to wait it out. I do find electrolytes help a bit. But it was almost constant the first 2 years (was on paleo diet, lots of fruit and veg and nuts etc) much less shaking now on the ketogenic diet in my third year (very low carb, high fat and moderate protein). It’s most likely muscle fatigue, lack of cellular energy production due to our “broken” mitochondria is likely the root cause of that. Oddly, eating carbs doesn’t fix the shaking, but it does increase my pain and fatigue though. I’m glad it helps you! It’s so bizarre how we all respond so differently to things, isn’t it? Hi all, I have been going through something like you all are talking about. It started with the shaking in my legs, and I would fall down a lot because be it would hurt so much to the point I couldn’t walk another step. I would get so upset and embarrassed when it would happen in public. I tried seeing every doctor that would listen to figure out how to stop it. Finally…I found a specialist that sat me down and told me the truth. It would never go away. I was chronically I’ll and would be for the rest of my life. I was 43 years old and I would be in a wheelchair. Well, I am now 48 and my pain is different now. It went from shaking to cramping and at times severe muscle pulling. I use heating blankets and stretch pants or the like to help with the swelling. Also get your legs massaged!!! It helps!!! Sorry to hear how much you have suffered with this. What was your diagnosis in the end? I’m glad you have found ways to relieve the pain and shaking. Heat definitely helps my leg pains too and so does weight or pressure, so I’m not surprised massage helps too. Thanks for sharing your story.